We're fairly unique in the industry because we work incredibly hard to deliver products and services which work for customers of all sizes. We really do mean it when we say we're happy to deal with someone making chocolates for their friend's wedding or to give to their children's teachers at Christmas - but we also work with the UK's largest premium retailers, artisan chocolate and gift manufacturers, food and packaging wholesalers and everyone in between. 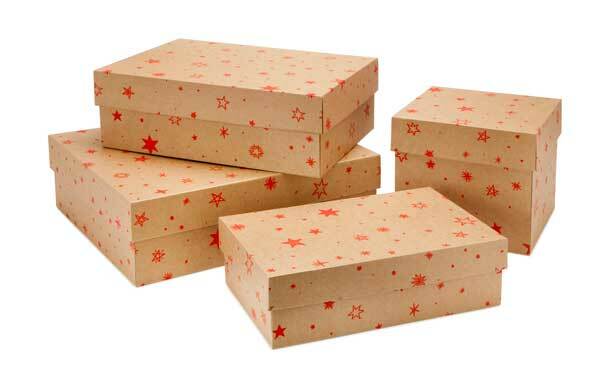 What this means is that our range of gift boxes, gift packaging and other wholesale packaging lines grows quickly and you can be sure we're listening to every one of our fantastic customers for guidance, advice, requests and feedback. It's this approach to communicating and listening that helps us produce the great packaging that we do - and we're hugely excited by the latest collection. 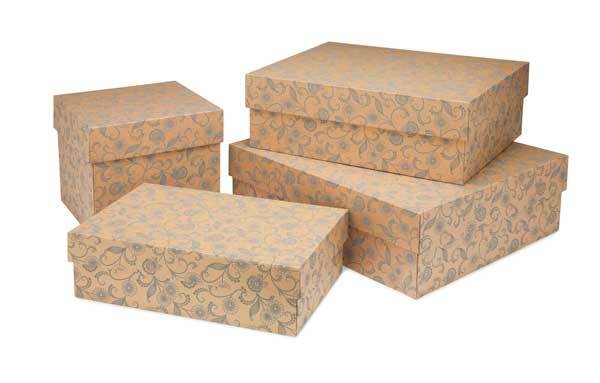 Now you can buy gift boxes for every event and occasion. 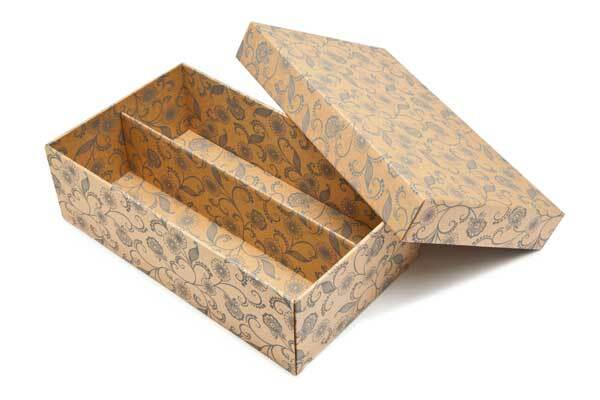 Four handy sizes of folding gift box give you the best deal on a printed large format gift box which is easy to assemble. 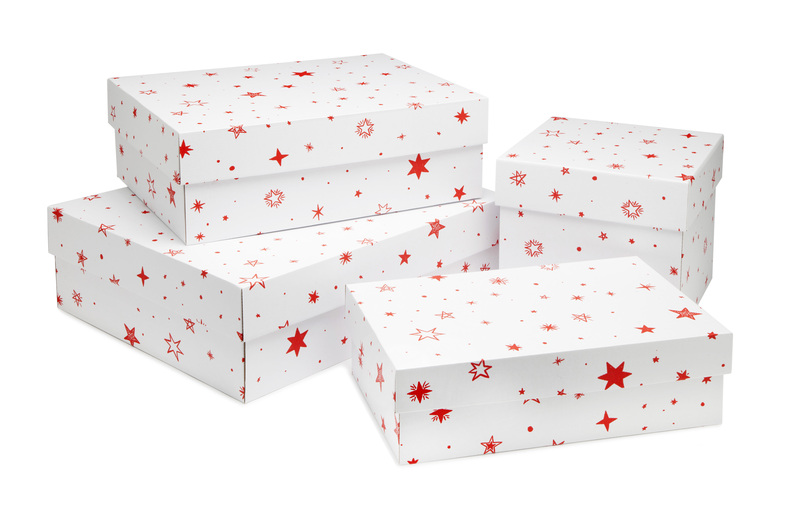 Perfect for retail or home use, these new gift boxes are the perfect packaging for presents, wrapped gift sets or hampers. 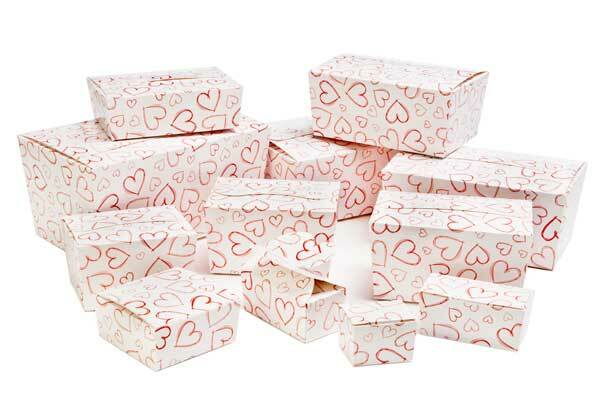 Manufactured by Meridian in the United Kingdom (UK), these gift boxes are the special added extra which can transform even a small token into a memorable and well received gift. 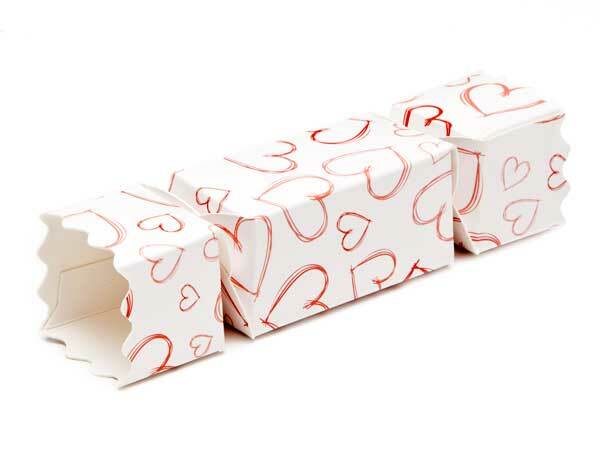 In four fantastic designs, you may not even need gift wrapping because creating an attractive printed gift has never been easier. 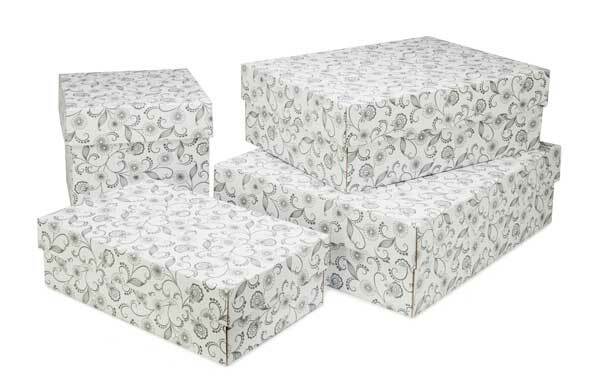 Simply fold open our large gift boxes, available in four sizes, and add your product, finishing with ribbon or simply placing on the lid. 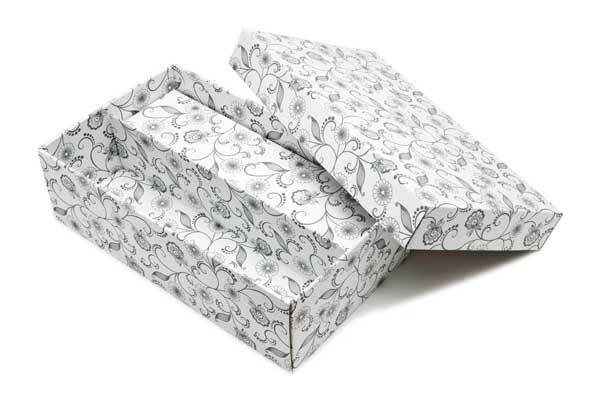 And why not personalise your gift box for an extra special touch? 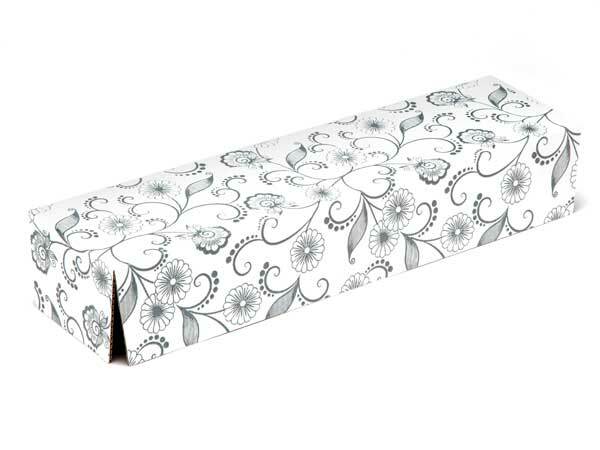 To make a 2 wine bottle gift box: All you need to do when you order the SMALL GENERAL PURPOSE GIFT BOX is add the 2 Bottle Divider insert which matches the design you've chosen. This will be listed in the related products at the bottom of the product details page. 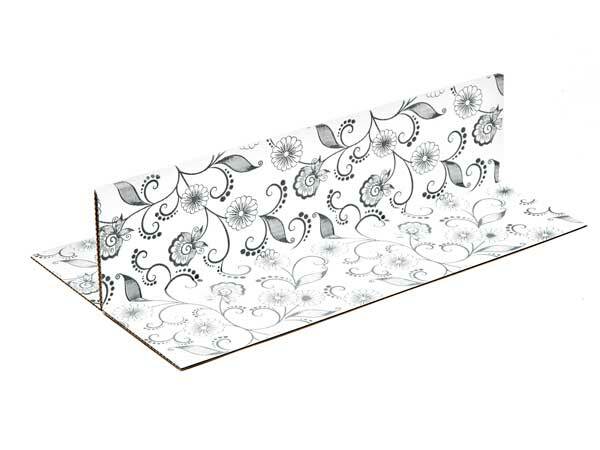 The dividers are available in all four designs. 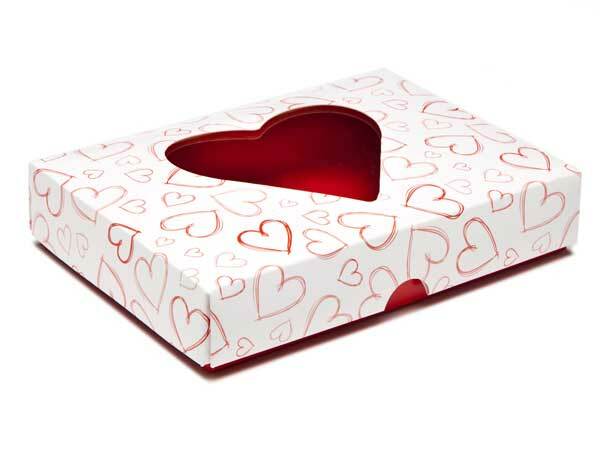 To make a wine and chocolate gift box: All you need to do when you order the SMALL GENERAL PURPOSE GIFT BOX is add the 2 BOTTLE DIVIDER INSERT and also the CHOCOLATE RISER PLINTH which matches the design you've chosen. 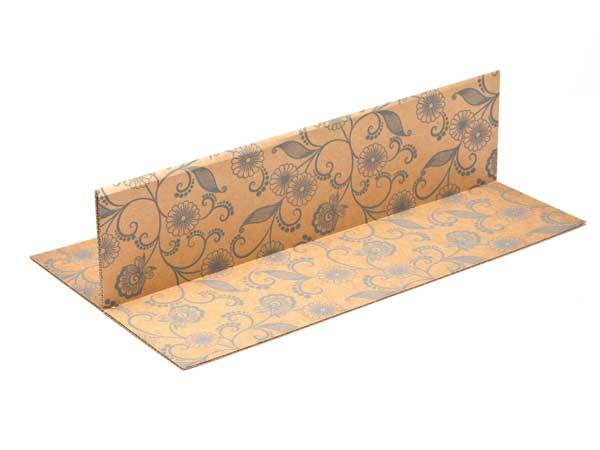 These inserts will be listed in the related products at the bottom of the product details page. 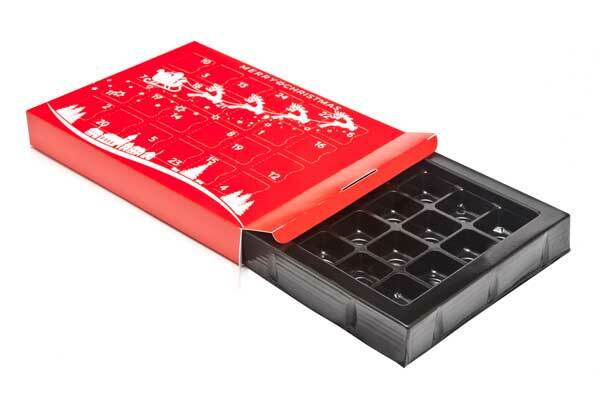 Then just head over to our 16 Choc Boxes to choose a base, a lid - and optional cushion pads and vac-forme trays. 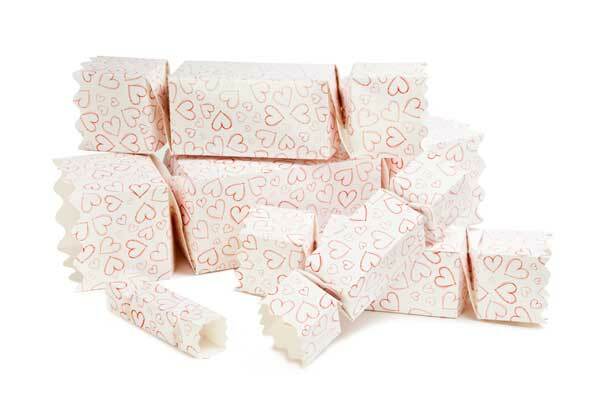 (these will also be listed in the related products). 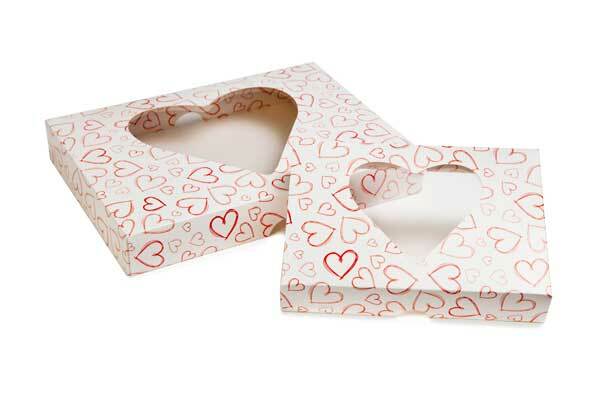 Our fun, simple printed "Light Heart" design gives you a new option for Valentine's or other gifting occasions. The playfulness of the design is intended to offer something which keeps love light and uses plenty of white space to keep the finished product looking fresh, minimal and a small token of love rather than a rose-in-the-bottom-cheeks gesture of dramatic proportions (if that makes no sense please revisit 1990s British TV drama!). 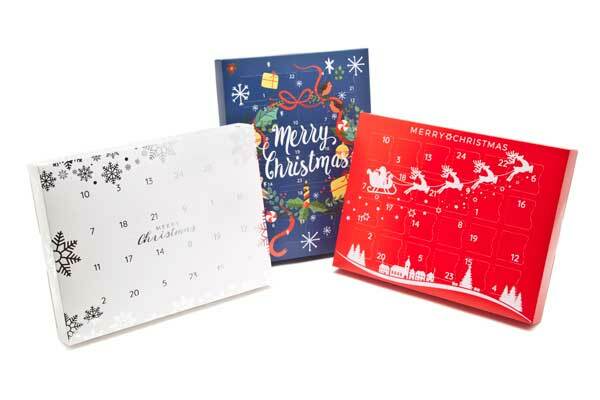 We're delighted to introduce three new designs to our range of advent calendar gift boxes. 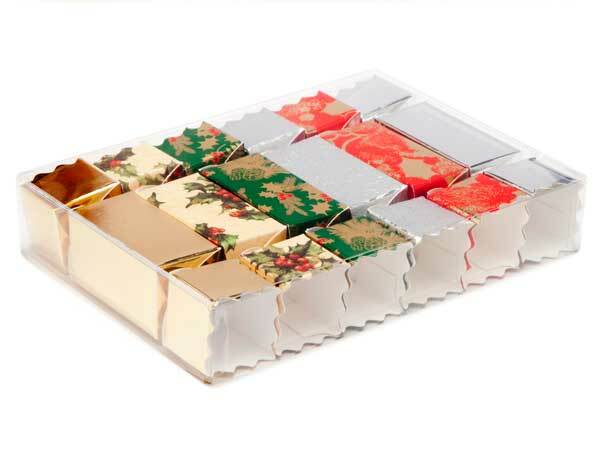 Since launching the first loose filled self-packed (fill-it-yourself) advent calendars of their type a few years ago we've seen our two hugely popular designs put to fantastic use to pack everything from mini tealight candles to jewellery, dates, chocolates (of course), soap and pet food products. During this process we've received feedback that, for certain shallower products, the vacuum formed tray sits a little too low, meaning customers find it hard to reach in to retrieve whatever lies inside the cavity when they open the advent window. This year we've addressed this by launching a simple 7mm high plinth which can be inserted below the vac-forme tray to raise the height so that shallower products can be reached easily when the windows are opened. This optional extra is introduced within what we're now calling the Deluxe because it offers a heavy premium card, film lamination for a tactile finish and a buffer sided base to hold the vac-forme, which offers a truly premium finish and adds extra structural rigidity to the design. Into this range we've added a new design - the Christmas Wreath advent - which picks out a rich array of Christmas colours and presents them in an attractive, modern style. 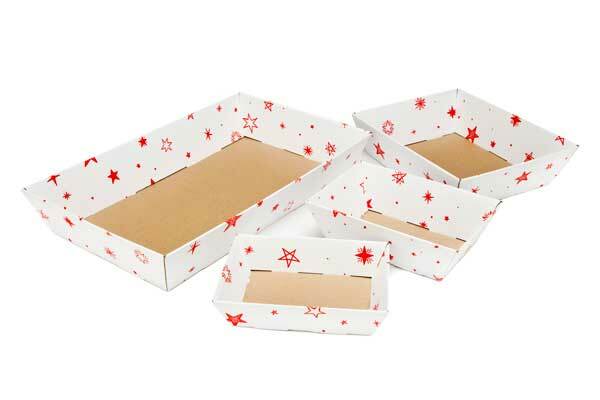 We have also added two designs into a new Premium Light advent range, which reduces the weight of the card carton slightly and removes the buffer base in favour of a buffer sided vac-forme tray, which holds the contents nicely in place but reduces the overall amount of packaging. 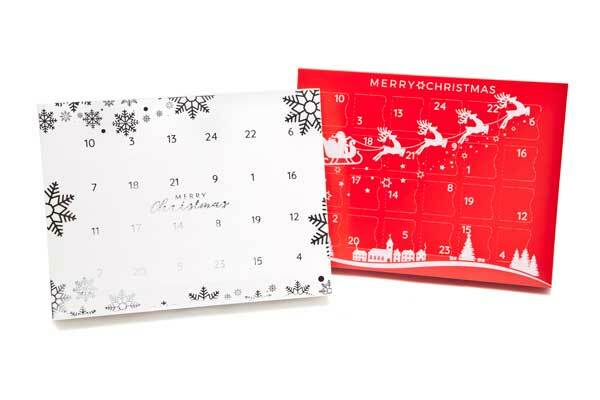 These advents (the white and red Santa's Sleigh advent and the silver and white Snowflake advent) are foiled designs which radiate elegant simplicity. 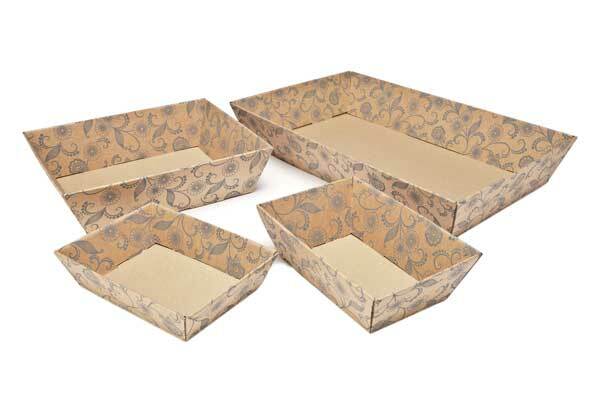 As well as light-weighting the packaging the Premium Light range also offers a lower price point option to allow you to target the children's market or to pack lower value products to offer a tiered range of packed advents for your customers. 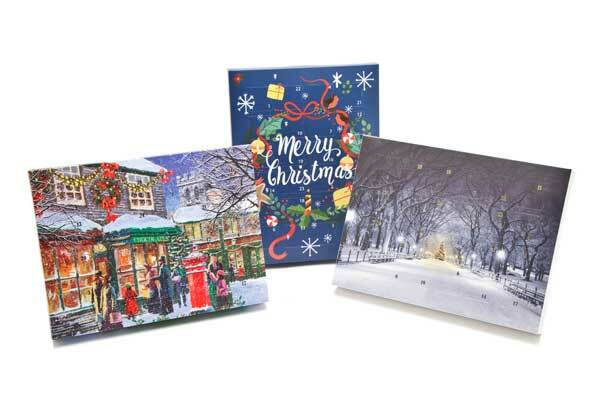 With the launch of our new 24 Choc Buffer postal outer, which also works as an advent calendar mailing box, you can now fill and pack our exquisite advent calendars and send them by post. This can add a string to your e-commerce sales options. 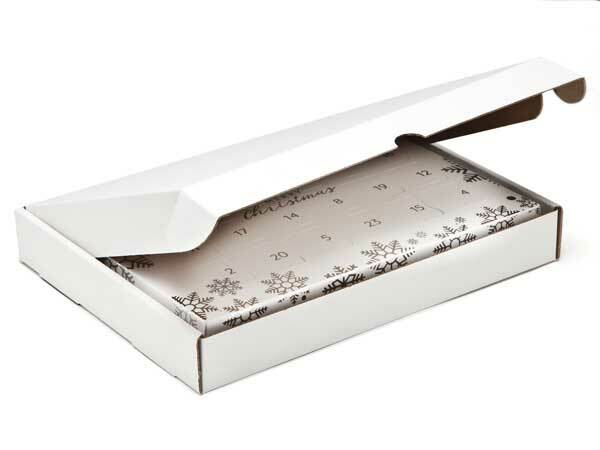 You can also sell the postal outer to your own customers in case they are planning to send the calendar as a gift..
Our ever popular small twist-end crackers are often used as a mini table decoration at Christmas. 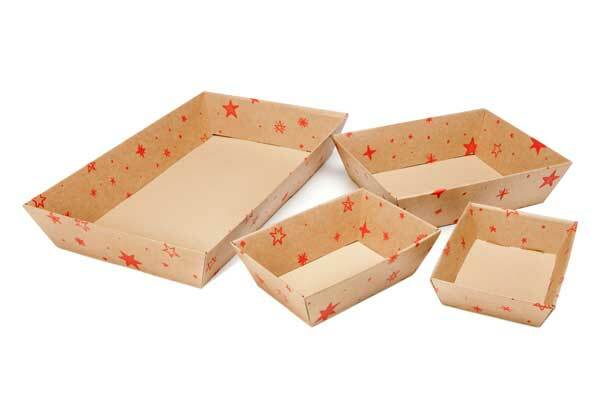 To offer a way to present these crackers, we've added a six cracker multi-pack option. 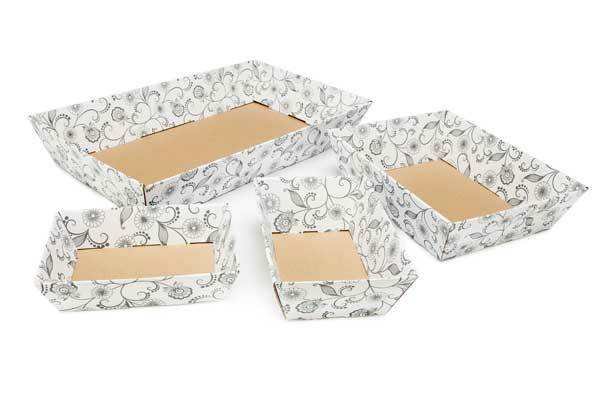 Our transparent two part box fits six small crackers and lets the design do the talking thanks to the excellent clarity of our transparent packaging.